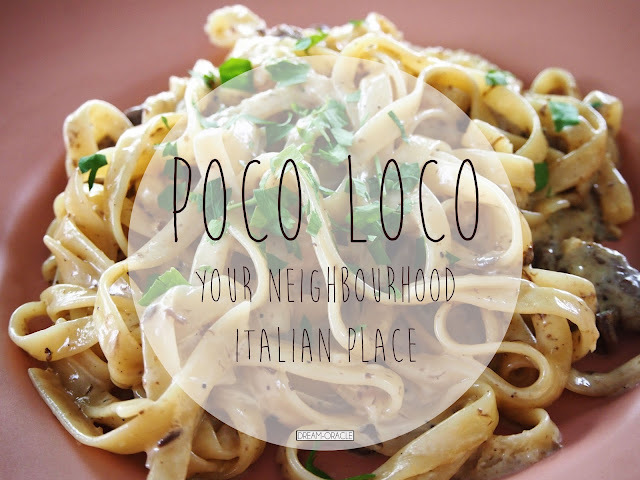 When I heard that Poco Loco is an Italian restaurant that's situated in the heartland area of Ang Mo Kio, I jumped at the chance to visit them. I love Italian food and sometimes you just can't be bothered to dress up nicely and travel to town just for some Italian food. Poco Loco solved the problem for you! Now you can shuffle down in your just-woke-up hair and nua shirt for some conmfort Italian food! 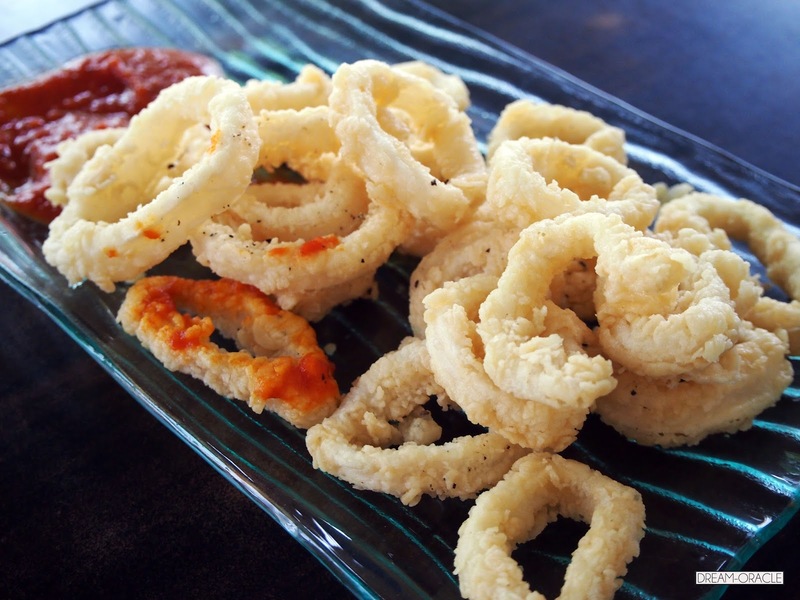 Calamari was springy and fresh, the batter was decent - light and and crunchy. It could do with a bit more seasoning to enhance the flavours though. The spicy tomato sauce was pretty alright, but could do with more sauce. Overall this is pretty value-for-money. So hard to find a plce that can do a good vongole, so I decided to give this a try. Flavour wise, they got it. 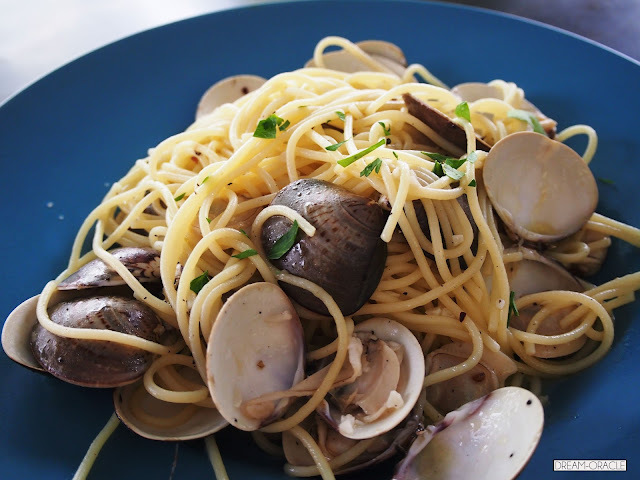 I feel that if there's more sauce it would be even better, There were lots of clams so clam lovers can rejoice! Very value for money dish, it was quite a big portion! The Manzo sounds very atas, and it does look quite atas too. Chunks of beef lathered in truffle cream sauce, people who love cream pasta but dislike those heavy cream jelat type can give this a try. 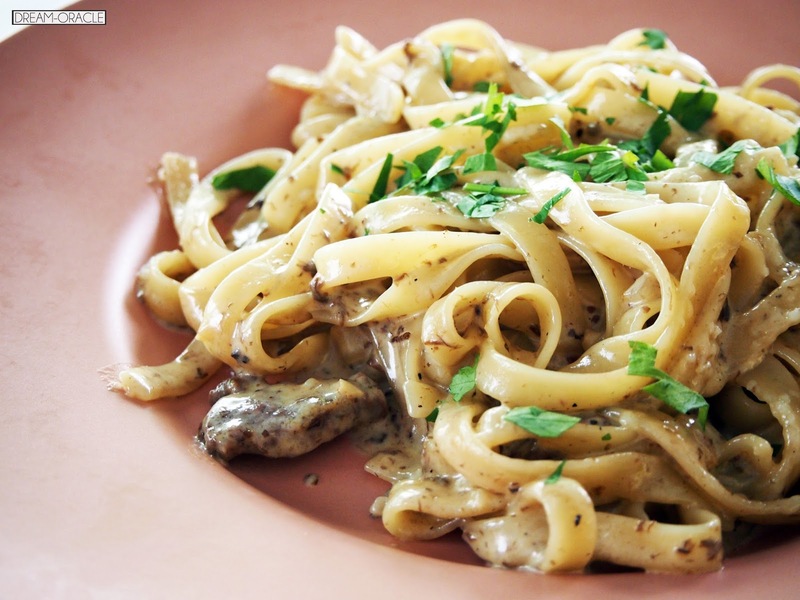 This is a comparatively lighter version of cream pasta and it gives off a very rich and fragrant aroma. This dish is a delight to slurp up. Thumbs Up: Price point! No GST and service charge too. To Improve: Food needs to be a touch more refined. Why: For this price and quality, WHERE TO FIND!! Value for money Italian food!